Pirelli is interested in Conti tire unit. 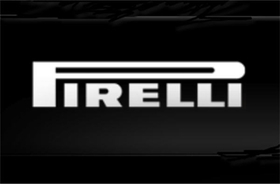 Pirelli would be interested in buying Continental's tire business if the price was right and the deal friendly, Pirelli Chairman Marco Tronchetti Provera said today. "It's too early to say. ... It could be interesting to analyze it but only if it's a friendly transaction," he said on Friday in an interview with the Financial Times. A Pirelli spokesperson confirmed the comment. Continental has had to combat the severe downturn ravaging the auto industry while paying off 10 billion euros of debt following a leveraged bid by German supplier Schaeffler, which is now Continental's controlling shareholder. In January, Continental's supervisory board approved the separation of the company's rubber and tire business, a move seen as a first step to a mid-term sale. On Feb. 19, Continental posted a net loss of 1.1 billion euros in 2008, compared with a profit of 1.02 billion in 2007. But Chief Financial Officer Alan Hippe said the operating result of Continental's rubber and tire group was "outstanding" in view of the current economic situation with sales at 9.35 billion euros last year and earnings before interest and tax of 984.9 million euros, representing a 10.5 percent margin. Tronchetti told the Financial Times that the tire sector was already consolidated but there could be smaller mergers. "There could be some minor mergers, there could be an important transaction in the future but it's not a must," he said. Tronchetti also said the first six months of the year would be "very bad" for the car industry. "We don't yet have a clear vision of the government side of a common policy to face the crisis. The worst case is to have each country doing something different," he said. But the car industry could "take advantage of the crisis." "Many times in the past, we have seen that a crisis has pushed industry to accelerate innovation," he said. "We will have an industry that will be more environmentally friendly."